HOUSEWORK – IS ANYONE DOING IT? There is great interest in who does the housework, how this has changed, and why. Our article, “Is Anyone Doing the Housework”, uses U.S. time diary data from 1965 onward to document trends in this oft-maligned and onerous activity. This article has been cited over 2,000 times and helps us understand important changes in the gendered division of labor in the home. In 2012, we updated the trend information with new data. The latest statistics show a continuation of the trend for women (and mothers) to do less housework than in the past. Men’s (and fathers’) time in housework rose from the 1960s to the 1990s and has generally leveled off from that point. Women still do quite a bit more housework than do men — about 1 hour per day more — but the ratio of women’s to men’s total housework has fallen quite dramatically. Bianchi, S. M., Milkie, M. A., Sayer, L. C., & Robinson, J. P. 2000. Is Anyone Doing the Housework? Trends in the Gender Division of Household Labor Social Forces 79:191-228. Bianchi, S. M., Robinson, J. P. & Milkie, M.A. 2006. Changing Rhythms of American Family Life. New York: Russell Sage. Bianchi, S. M., Sayer, L. C., Milkie, M. A., & Robinson, J. P. 2012. 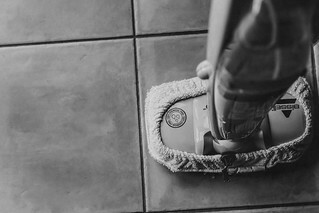 Housework: Who Did, Does or Will Do It, and How Much Does it Matter? Social Forces 91:55-63. Other research I’ve conducted on the division of labor includes studies on 1) changes over time in women’s attitudes toward housework, and 2) how parents feel the division of child care ideally should be split between partners versus what they believe actually happens in their family.